Dancing in the Rain: An Instagram Link-Up! Look through your Instagrams from June, July and August. Pick out the Top 10 Most Hearted (liked) photos. Put them in a blog post. Use words or go wordless. 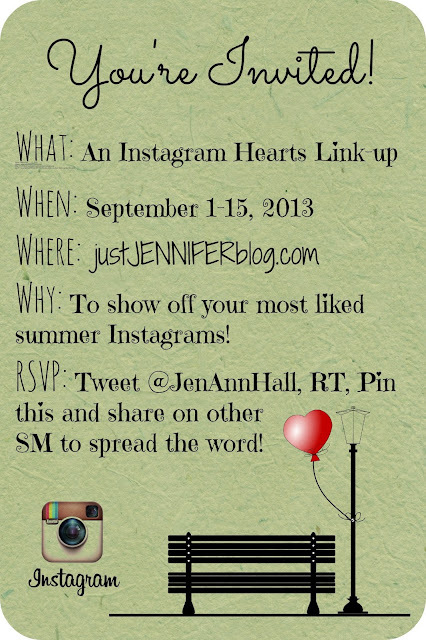 Come back on September 1st and link up your post with ME! I think this will be super fun!